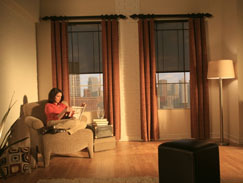 Today's Window Fashions: Blinds, Shades, Verticals, Shutters & Custom Window Coverings & Treatments at Discount Prices. Serving San Diego, Fallbrook, Temecula, Fallbrook, Bonsall, Valley Center, Oceanside, Vista, San Marcos, Escondido, Rainbow & Pauma Valley. Today's Draperies combine quality craftsmanship and an impressive selection of fabrics to choose from to create a stylish, sophisticated look. Today’s Draperies come in a variety of pleats from French Pleats to Elegant Goblet Pleats that will fashionably display your windows. 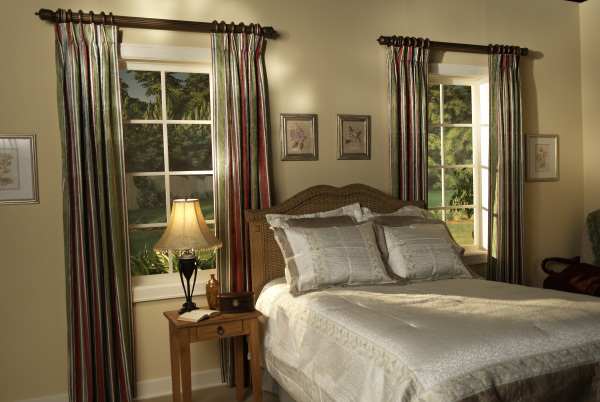 For a complete selection of Draperies and a free in-home consultation contact the Today's Window Fashions location near you! © Copyright Today's Window Fashions. All Rights Reserved. 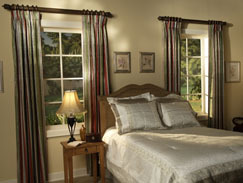 Today's Window Fashions is a national shop-at-home, custom window covering company that offers quality name brand blinds and discount blinds as well as shutters, shades and other window treatments at discount prices.Our shutters and window blinds include vertical blinds, wood blinds, and faux wood blinds. Our window shades include woven wood shades, insulating shades, honeycomb shades, sun shades, roman shades, silhouettes, vignettes, drapes and fabric top luminettes. 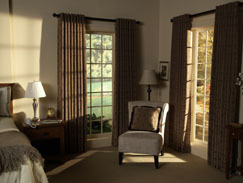 We also install Hunter Douglas, Kathy Ireland Home by Alta, as well as treatments by Today's Window Fashions.